In response to the Coalition’s Campaign for Global Justice in Armenia, the Armenian government has committed to taking the necessary steps to become a member of the ICC. In April 2014, the Coalition called onArmenia to render homage to victims of past crimes and ensure protection under the rule of law for future generations by joining the ICC. The ICC is seen as supplementing the national judicial system due to the Rome Statute’s principle of complementarity. National authorities would be deprived of the right to grant pardons or amnesties. The Court’s ruling has since blocked any advancement towards ratification. In late 2013, however, Armenia began a constitutional review process to consider amendments to the constitution, and the Coalition has since urged Armenia to seize this opportunity to overcome the only legal obstacle to ratification of the Rome Statute. This development has been warmly welcomed by Armenian civil society. Dr. Sarvarian was one of the principal organizers of a Coalition-sponsored, high-level conference in Yerevan in April 2013. The conference, entitled, “Ratification of the Statute of the International Criminal Court by the Republic of Armenia: Problems and Process,” featured the participation of Deputy Justice Minister Aram Orbelyan, Deputy Foreign Minister Zohrab Mnatsakanyan and former minister of justice and current member of the National Assembly of Armenia, Davit Harutyunyan. 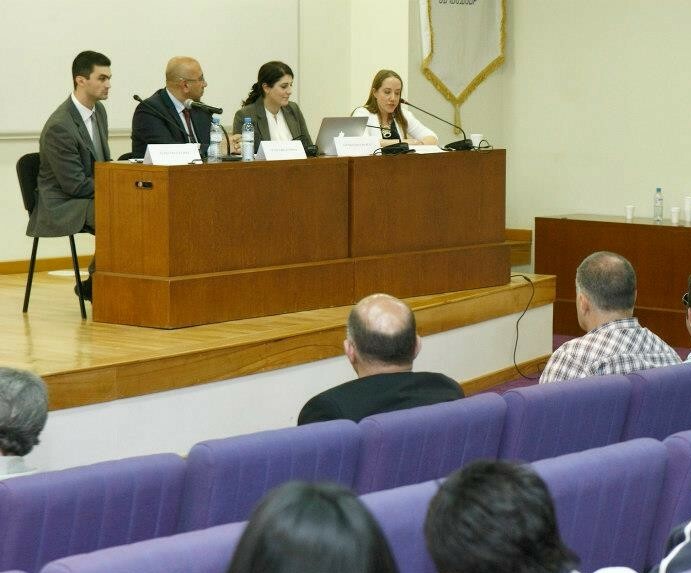 The Conference, which coincided with the Coalition’s April 2013 Universal Ratification Campaign focus on Armenia, helped greatly to spur national reflection and debate on the issue of Armenia’s membership in the ICC. The final version of the Commission’s strategy of constitutional reforms is expected to be made public on 30 June. Following submission of the reform package for the approval of President Sargsyan, the Commission will have another 10 months or so to draft specific constitutional amendments based on the approved strategy. As Armenia’s constitution can only be amended by national referendum, the specific amendments will likely be put to a popular vote in 2015. It is hoped that, following a positive vote, the necessary amendments to the constitution can be made in the course of 2015, with ratification of the Rome Statute possibly following in late 2015 or early 2016. For more information on Armenia and the ICC, follow our Europe regional coordinator, Kirsten Meersschaert Duchens, on Twitter.